Instagram’s co-founders are getting replaced by this guy. For nearly ten years, Kevin Systrom and Mike Krieger have led Instagram, first independently, then later as a bright spot in the greater Facebook hellscape. And in the last few years, Instagram has stood in stark contrast to Facebook as a pretty harmless way to spend your time flipping through nice vacation photos. The service has also continued grow, hitting a billion users this past June. 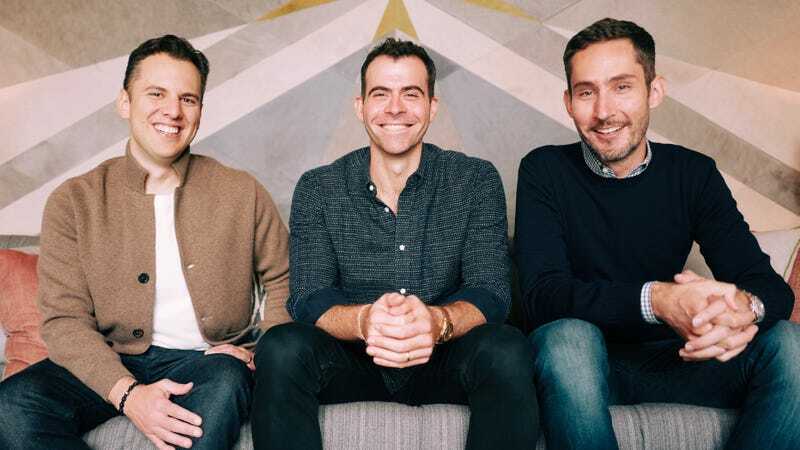 But amid reported “clashes” with Mark Zuckerberg, Systrom and Krieger decided to leave the app and Facebook behind, taking only lots and lots of money with them. Taking over is Adam Mosseri, who’s been at Facebook since 2008 and played a major role in creating and shaping super-beloved, and not at all hated products such as the Facebook News Feed. If you’ve been feeling recently that Facebook is ruining Instagram, you could technically blame Mosseri, who’s led product for the app since May 2018. And if you still love Instagram and hope it doesn’t become a total nightmare to use, you’ll be able to blame Mosseri when that inevitably happens. But if you’re like me and already felt that Instagram had lost its way years ago—perhaps around the time it started pilling on cloned features like Stories—then you can blame Systrom and Krieger, who stuck around for years as Mark Zuckerberg used the app to destroy Snapchat. Correction: This story originally said Instagram launched eight years ago. It actually launched ten years ago, and was acquired by Facebook two years later. We regret the error.